You can contact me by leaving your name, email address, and a message below, by email, or by phone (if I don't answer you can leave a message with your name and number on my voice mail). All modes of contact are only accessible by me. Please note that due to the nature of the work, I am not always available but I will aim to reply to your contact within 24hrs. ​I provide counselling in Carlow and Kilkenny: Addresses below. 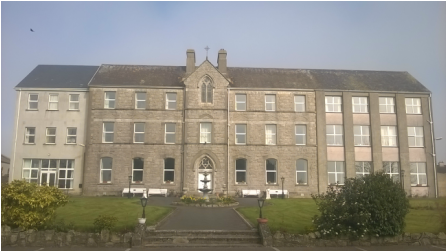 The Carlow offices are wheelchair accessible, but the Kilkenny office is not unfortunately. The Kilkenny Counselling room is above Property Partners. Use the entrance on the right; I'll meet you at the stairs and guide you to the room (Room 1). The Tullow Counselling room is upstairs. Use the main entrance. Ring the top, black doorbell; I'll meet you in reception and guide you to the room (Room 105). The Carlow Counselling room is to the right. Use the main entrance; I'll meet you in reception and guide you to the room (Room 5).